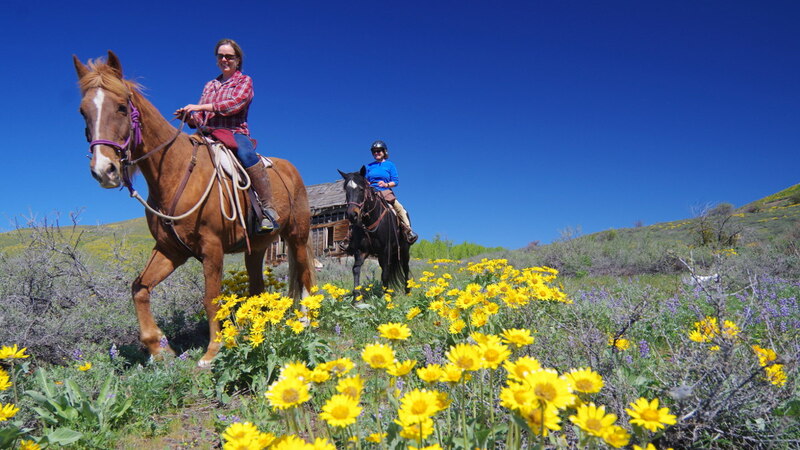 Discover the Methow Valley on horseback! 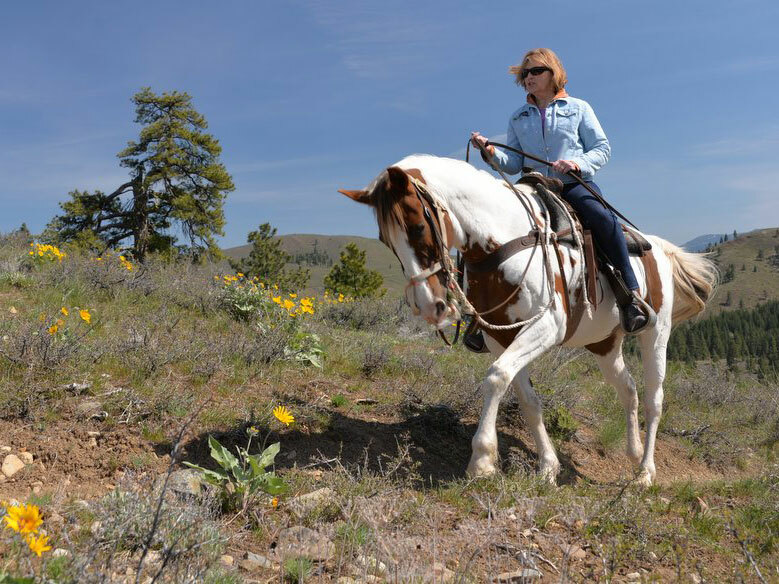 Bring your own horse or sign up for a guided ride once you arrive - the Methow has no shortage of trails to meet your equestrian goals. Valley-bottom trails follow the Methow River and offer cool shade mid-summer, while higher-elevation trails allow you to explore scenic vistas and alpine meadows. The Methow Valley Summer Trail Map provides a good overview of horse-friendly trails. Free paper copies of this map can be obtained at the Methow Trails office in Winthrop, the Winthrop Visitor Center and Winthrop Chamber businesses. 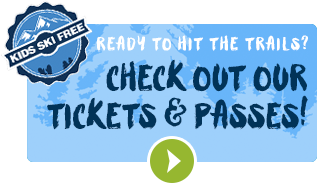 Hour-long, half-day and full-day rides are available through a number of lodges and outfitters, and backcountry extended trips can be booked through outfitters. Information on horse outfitters can be found on the Winthrop Washington website. Several lodges offer corrals and services for riders traveling with their own horses. 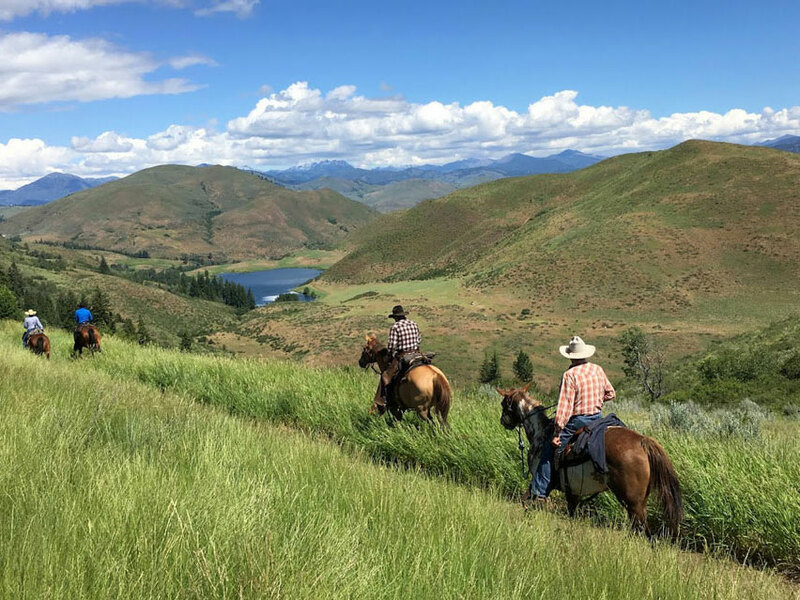 Additional information about riding in the Methow Valley can be found on the Methow Valley Backcountry Horsemen website. CHECK THE DAILY GROOMING REPORT! Methow Trails operates under a special use permit with the Okanogan-Wenatchee National Forest. This institution is an equal oportunity provider.